Countries, companies, and customers are increasingly concerned with sustainability. What is unclear from a business perspective, however, is how much cost can be tolerated for sustainability efforts and what markets’ sensitivities are to product prices? The results of a large-scale study that I undertook with colleagues (article) indicate that product-market performance can be achieved even when costs/prices increase by 27 to 72%, and when companies implement sustainability efforts that are 5 to 30% above sustainability efforts of the company’s home country. The backdrop to the powerful story in the summary-paragraph above is that a focus on sustainability has become an increasingly attractive business strategy for many global companies. In a business context, “sustainability means seeking to replace what we use and repair what we damage, striving to leave the planet in a better condition than that in which we found it”. Being sustainable has also incited sentiments of companies “doing good” and customers cultivating a “warm glow” by, for example, having a lower carbon footprint. In an era of product-market competitiveness and companies’ need to address profitability, business strategy for sustainability-focused companies is about creating a “warm glow” customer-effect or having to increase company costs, customer costs, and/or product prices. Some researchers even argue that a business role can be to incentivize customer participation in sustainability programs and having them adjust their “warm glow thermostat”. Unfortunately, up to this point, we only have limited insights into a country’s sustainability efforts in relation to a company’s sustainability initiatives and their link to product-market performance. We also do not have a clear understanding of the influences of company costs, customer costs, and product prices within the country-company sustainability dynamics. Consequently, the objective of the research we undertook was to address these important gaps in sustainability knowledge for two core reasons. First, it is important to understand the potential product-market implications of a company’s sustainability initiatives relative to the sustainability efforts countries engage in. 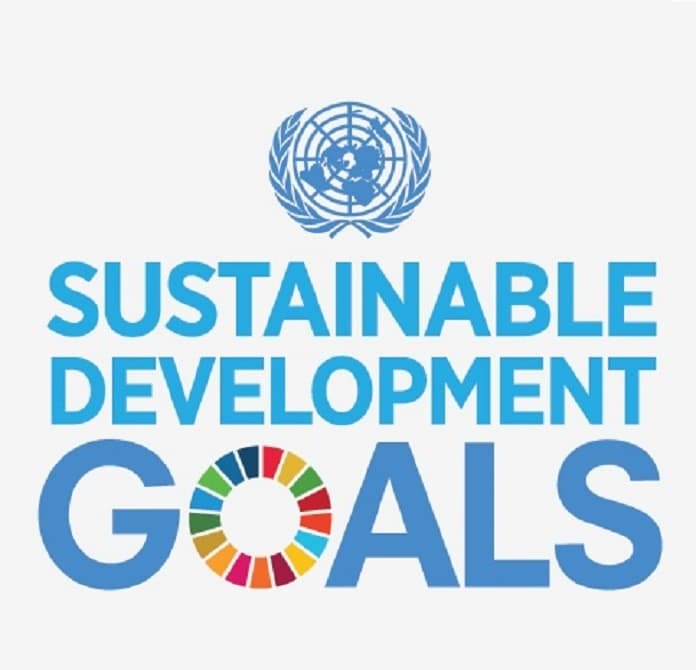 Not only were the United Nations’ Millennium Development Goals introduced in 2000, placing emphasis worldwide on countries to be sustainable, the UN Sustainable Development Goals being ratified in 2015 have, in essence, meant a “doubling down” on sustainability and sent a message to the world community that sustainability is an increasingly important element of the global infrastructure. In this context, this study included the nine Spanish-speaking sovereign countries in South America (Argentina, Bolivia, Chile, Colombia, Ecuador, Paraguay, Peru, Uruguay, and Venezuela) as well as the United States (the U.S. being an important benchmark on international business competitiveness). Country-level sustainability initiatives in these nine South American countries have been limited and, as such, these countries represent unique samples in which to study how valuable a company’s sustainability efforts can be on product-market performance above that of a country’s efforts. Second, company costs, customer costs, and product prices are generally viewed as the core cost/price factors affecting the sustainability “value” received by customers. These cost/price factors have been associated with “doing good” (company costs), “warm glow” (customer costs), and price fairness (product prices). At the outset, we can easily grasp the notion that sustainable products that are too costly, either by price or total cost (price + search/effort costs), will only be purchased by a limited set of customers. But, how much above the competitive norm can these costs and prices be and the product still be competitive in the marketplace? This is an important trade-off issue since more than half of today’s customers indicate that they actively consider sustainability characteristics in their buying decisions, but then these same customers end up buying sustainable products in just 22 percent of the cases. Issues such as lack of benefits received (“warm glow” or tangible product benefits) or a perception of price unfairness detracted from the conversion rate. Consequently, the assumption is that customers will buy a sustainable product if costs and prices are contained in such a way to not lessen the product’s market competitiveness. What is unclear, however, are the cost and price sensitivities that customers have when deciding on purchasing products from sustainability-oriented companies? The results of this study reveal several important takeaways regarding country-company sustainability efforts in view of these costs (customer and company) and price sensitivities. Specifically, in the 10-country study conducted for this research, involving 4,051 companies and a focus on countries, companies, and customers, the baseline results indicate that positive effects on product-market performance can be achieved from companies’ sustainability efforts in all 10 countries. In each country (Argentina, Bolivia, Chile, Colombia, Ecuador, Paraguay, Peru, Uruguay, Venezuela, and the USA), company sustainability has a positive effect on product-market performance above that of the country (and other macro controls). More importantly, the detailed findings in the article show that company costs, customer costs, and product prices can be increased by 27 percent to 72 percent (customer costs by 54 to 70 percent, company costs by 65 to 72 percent, and prices by 27 to 70 percent, depending on the country/region) and the company sustainability-performance effect is still substantial (with standardized betas ranging from .32 to .60). Additionally, increased sustainability effects can also be gained from lowering customer and company costs but no such effects were found when lowering product prices. While a company is to a certain degree dependent on the country in which it is headquartered to achieve these effects (institutional theory), a positive implication is that a company can implement sustainability efforts that are 5 to 30 percent above the sustainability infrastructure provided by the country or region (resource-based theory) and reap performance advantages (with the exception of Colombia and Ecuador, where the countries’ sustainability infrastructures set downward boundaries). G. Tomas M. Hult, Jeannette A. Mena, Maria Alejandra Gonzalez-Perez, Katarina Lagerström, and Daniel T. Hult (2018), “A Ten Country-Company Study of Sustainability and Product-Market Performance: Influences of Doing Good, Warm Glow, and Price Fairness,” Journal of Macromarketing, 38 (3), 235-254. Maria Alejandra Gonzalez-Perez also did a column about the research in Spanish in Dinero (Colombia) on July 22, 2018.